Alfreton Town return to league duty tonight, as we welcome Leamington to the Impact Arena in the National League North, kick off is 7.45pm. After sealing our first league win since September against Nuneaton at the weekend, confidence will be high as we welcome the Brakes this evening. After a enthralling contest on Saturday which saw both sides reduced to ten men, Nuneaton took the lead on 43 minutes only for Callum Chettle to reply a few minutes later with a lovely planted header to take the scores level into the break. 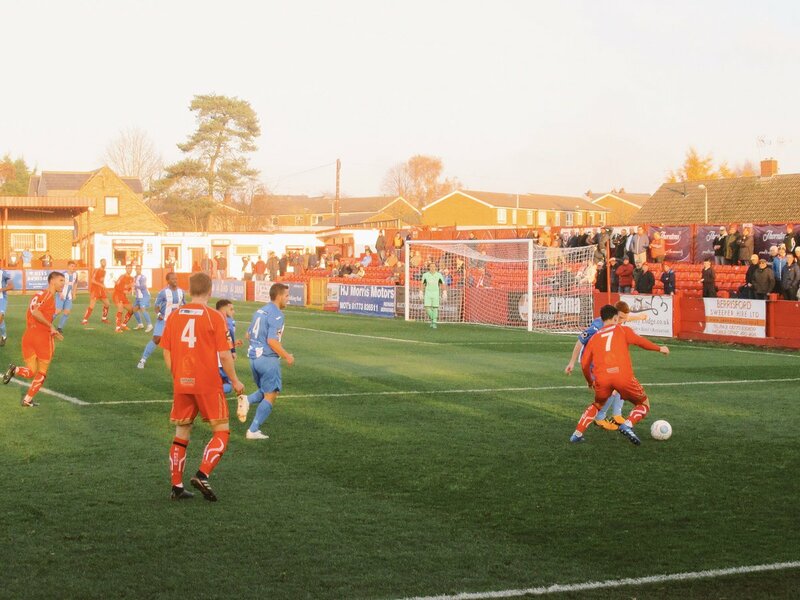 The Reds weathered the early Nuneaton pressure in the second half and created good chances in both the first and second half. However a clinical display and a grapple hold on the contest in the second half ensured three points, as Chettle grabbed his second and Craig Hobson finished from close range late on, to lift the Reds to 12th in the table. With both ourselves and Leamington having played 16 games and thus having games in hand on teams above; both sides will be keen to make an assault on the play off positions. The Reds will be looking for back to back league wins after Saturday's success and three points tonight will spring-board us right back in the mix in the play off hunt. We head into tonight's fixture looking for a second straight league win and to potentially extend our unbeaten league run to four games. This will be our fifth game out of a seven game spell at the Impact, we have only lost once in our last five home games in all competitions. Leamington arrive to us sitting in 11th place in the table, one place and one point above us. The Brakes have won their last two league games without conceding with their last outing being a 1-0 win at home to Chester on Saturday. The visitors have also won two of their last three away league games.